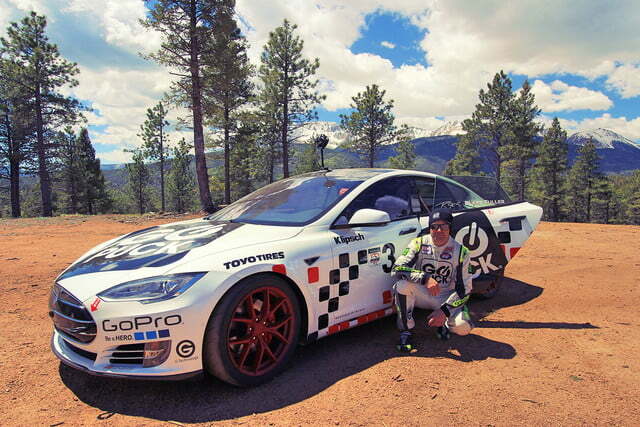 What may be the first Tesla Model S race car set a record for production electric vehicles at the 2016 Pikes Peak International Hill Climb. 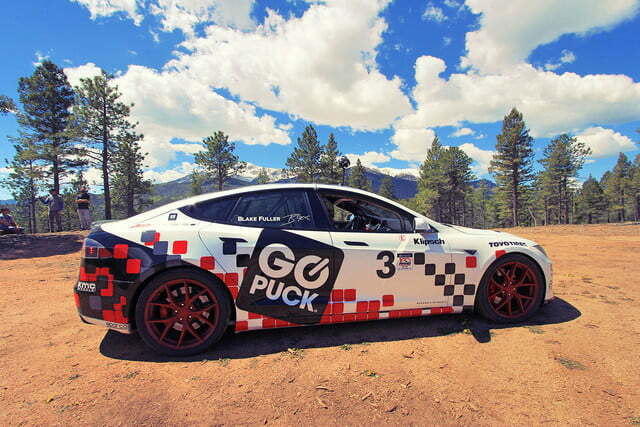 The modified Model S was driven by Blake Fuller, founder and CEO of Go Puck, a company that makes wearable battery packs. 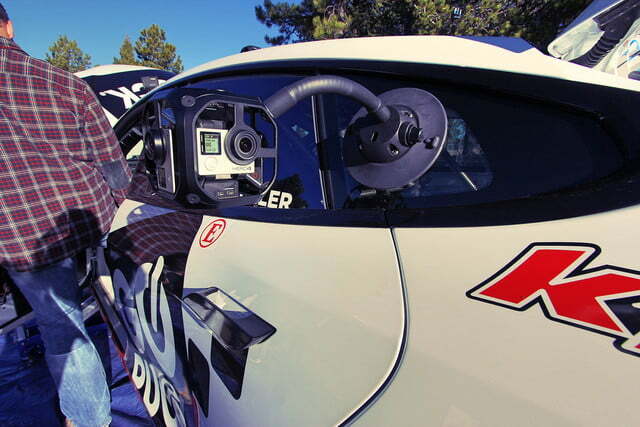 Fuller managed to complete the 12.42-mile course in 11:48.264, setting a record for the Electric Production class. 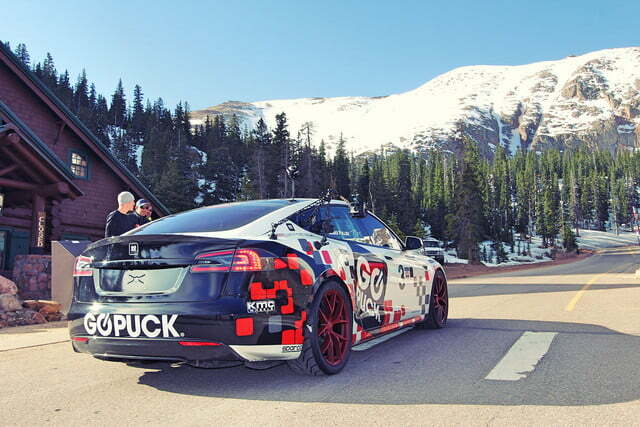 While Pikes Peak also has classes for purpose-built race machines, this class is for electric vehicles based on showroom models. The sub-12-minute time beat the previous record of around 13 minutes set by a Zero electric motorcycle, and placed the Tesla 65th overall, according to Electrek. 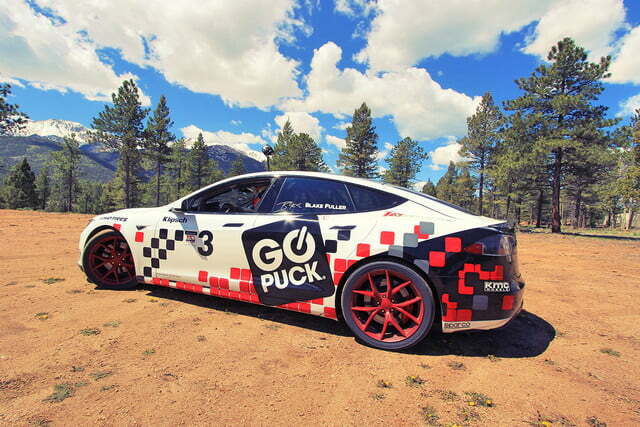 Go Puck’s racer was a Model S P90D, with the largest battery pack, 762 horsepower, and all-wheel drive. The car was modified for race duty, but not too drastically. 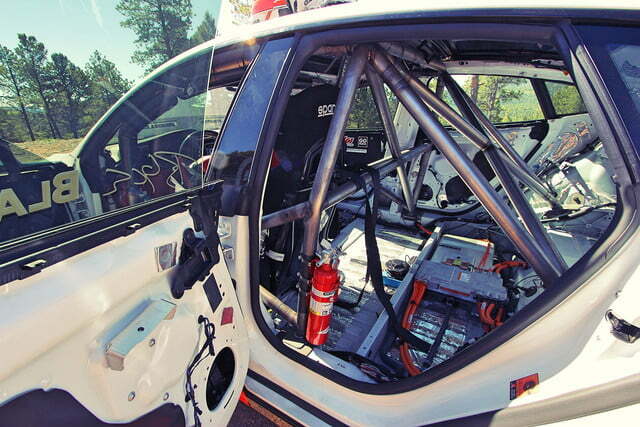 The interior was stripped bare, and a roll cage was added. 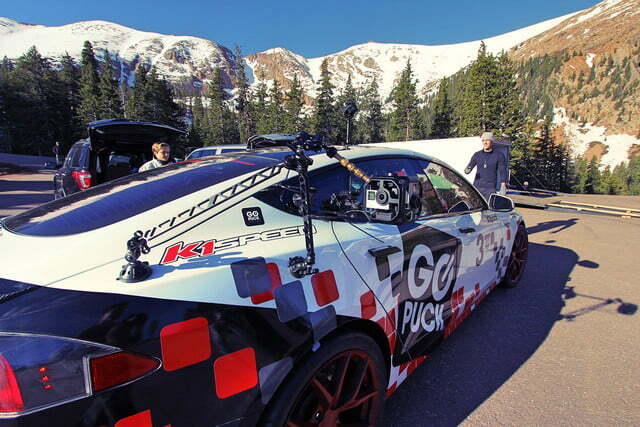 Go Puck claims the Model S shed 800 pounds, but that means the car was still dragging around a substantial amount of weight. High-speed running also put a strain on the battery pack, to the point that the team had to place bags of ice under the car to cool it off. 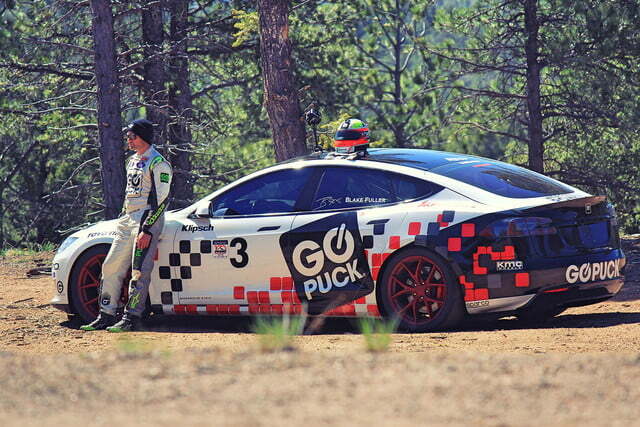 Pikes Peak is one of the few motor sport events where electric cars have a clear advantage. The short runs don’t tax battery capacity, while at the same time high altitude makes it harder for internal-combustion engines to make power. 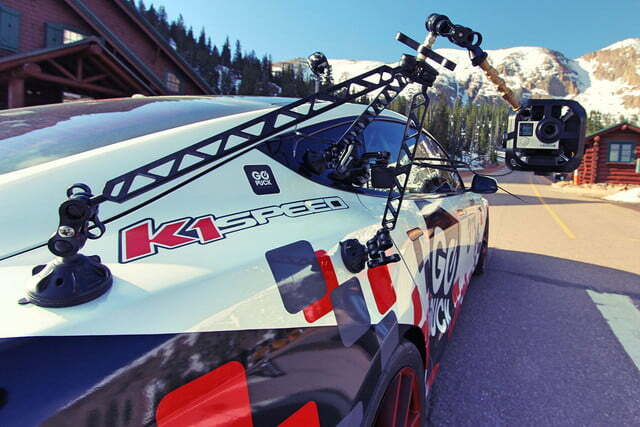 An electric car won the event overall last year, and came in second this year. 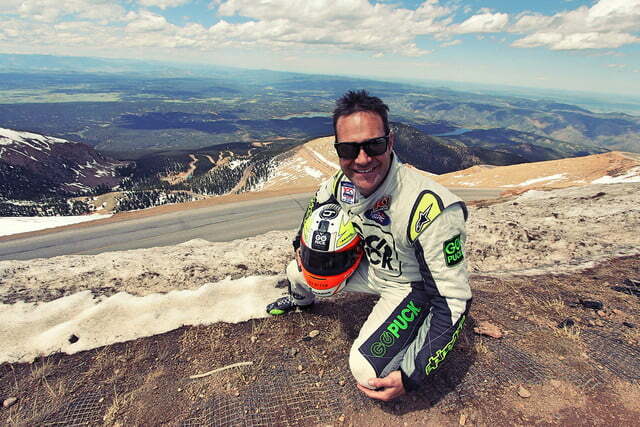 The 2016 overall winner was Romain Dumas, who came to Pikes Peak fresh off winning the 24 Hours of Le Mans with Porsche. Driving a custom-built, Honda-engined Norma M20 RD Limited, he scampered up the mountain in 8:51.445. 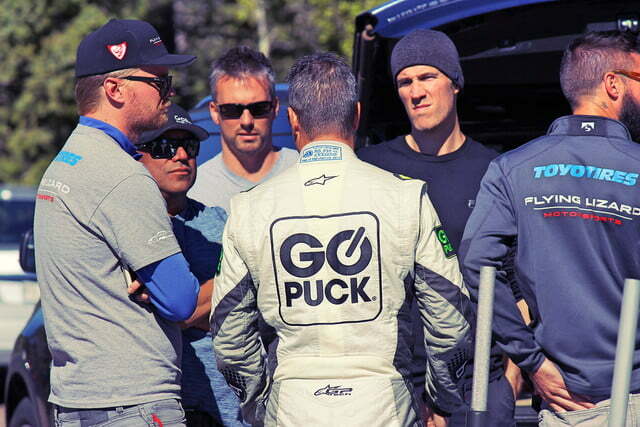 Not far behind was 2015 winner Rhys Millen and his electric Drive eO PP03. Millen’s 8:57.118 time wasn’t good enough for the win, but he did set a record in the Electric Modified class. 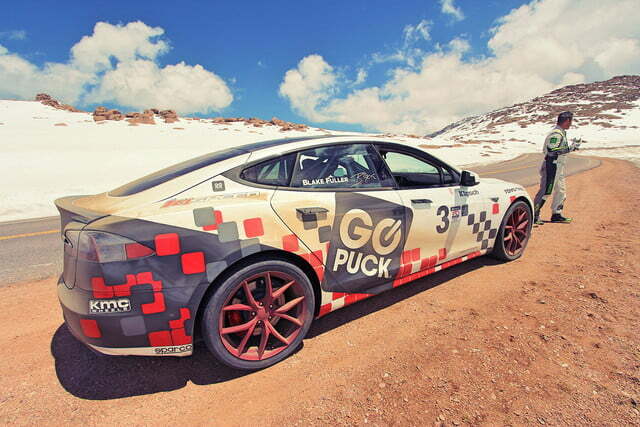 The Model S may get a chance to race at other venues soon. 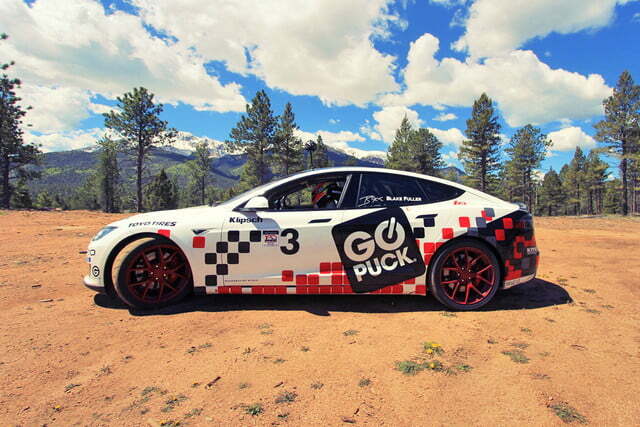 A group of promoters plan to kick off the Electric GT World Series next year, with 10 teams each fielding two of the Tesla sedans. Other electric cars may be invited to participate eventually, but the Model S’s emphasis on performance made it the obvious choice to launch the series.